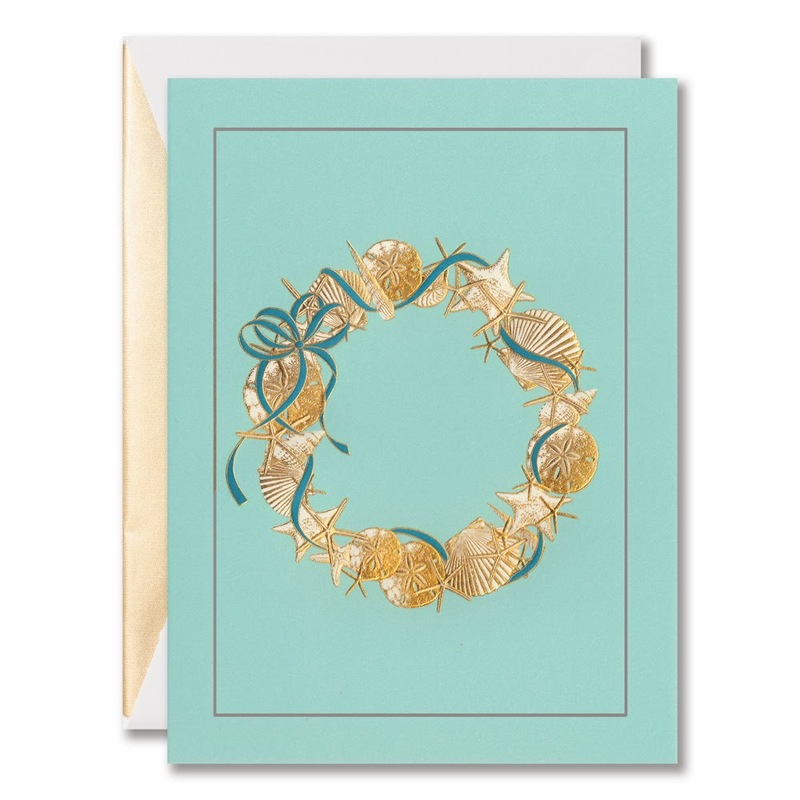 Engraved Shell Wreath Boxed Holiday Greeting Cards: Décor meets the shore for this holiday greeting card, which features a wreath made of seashells, starfish and a ribbon most festive. 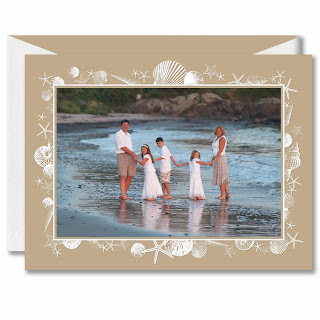 Seaside Ornament Holiday Greeting Card: A coastal Christmas may offer sand instead of snow, but the sentiment — perfectly conveyed on this greeting — is just the same: warm wishes for a joyous, cheerful holiday season. Engraved Shells on Gold Shimmer Holiday Greeting Card: For the season by the seaside, this holiday photo card features a frame of seashells and starfish atop a gold background. 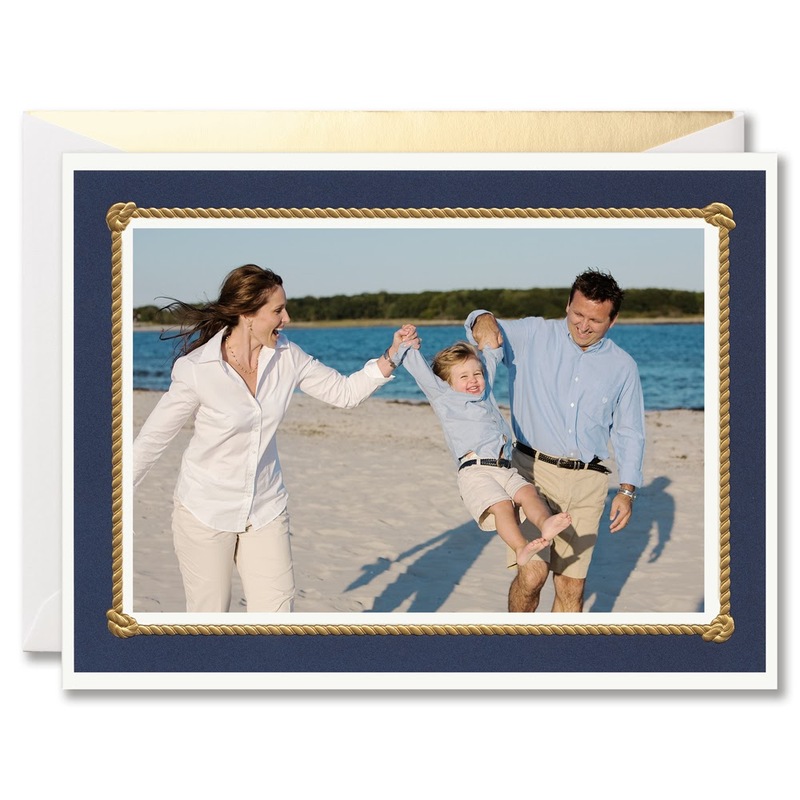 Perfect for the picture taken on the sailboat or the Cape Cod coast. Nautical Knot Frame Holiday Greeting Card: For the inspired sailor in all of us, this holiday photo card is bordered in rich navy blue and gold rope. 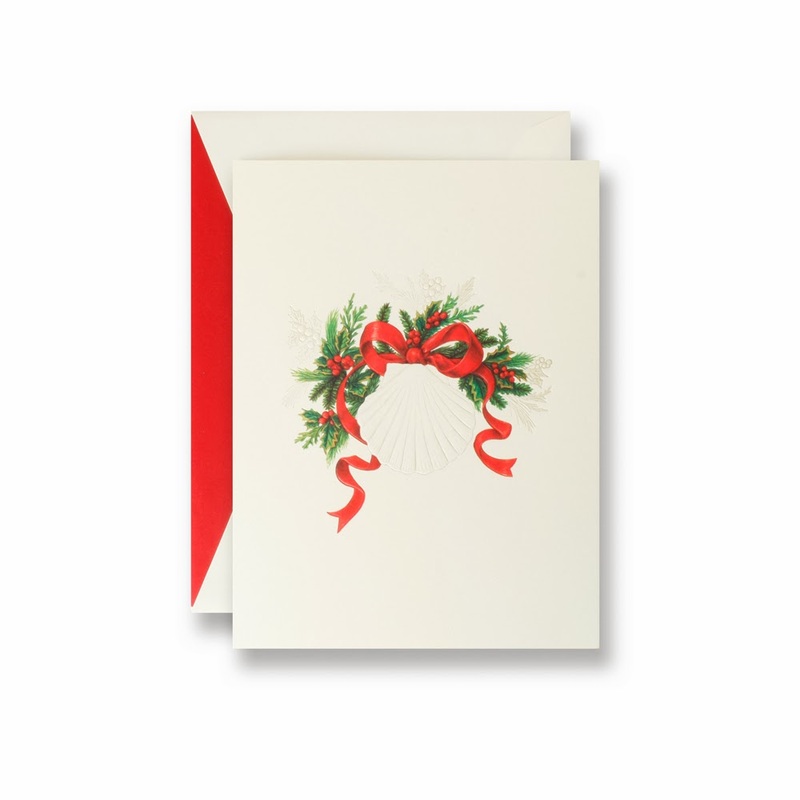 A single knot in each corner adds just the right decorative touch. Swirling Seashells Holiday Greeting Card: For the season by the seaside, this holiday photo card features a frame of seashells and starfish atop a vibrant blue background. 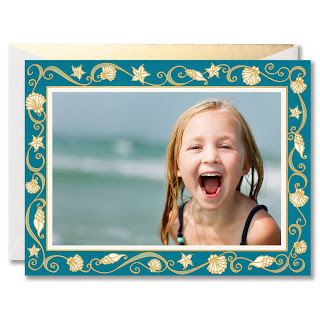 Swirls of flourish add just the right touch of whimsy. View our entire boxed holiday card collection.